mas. They're fun to make ... baby will love them. included. Doll body fabric serves as shirt or blouse. "Jenny Giraffe" and son "Jerry'', "Ella Elephant" and daughter "Elaine". Toys are 6 to 14Y, in. high. One cotton batt will stuff all six toys. Julie Giraffe, Harry Horse. Stuff with cotton batt. 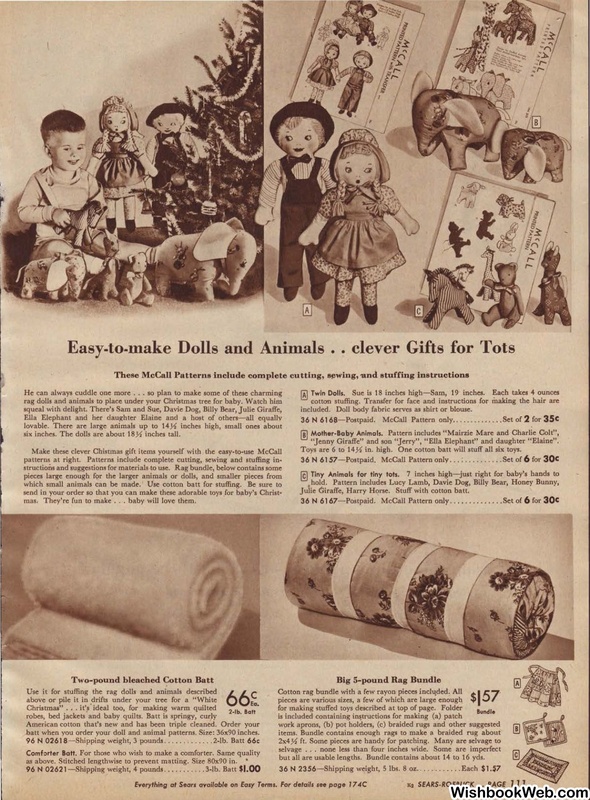 batt when you order your doll and animal pa-tterns. Size: 36x90 inches. but all are usable lengths. Bundle contains about 14 to 16 yds.